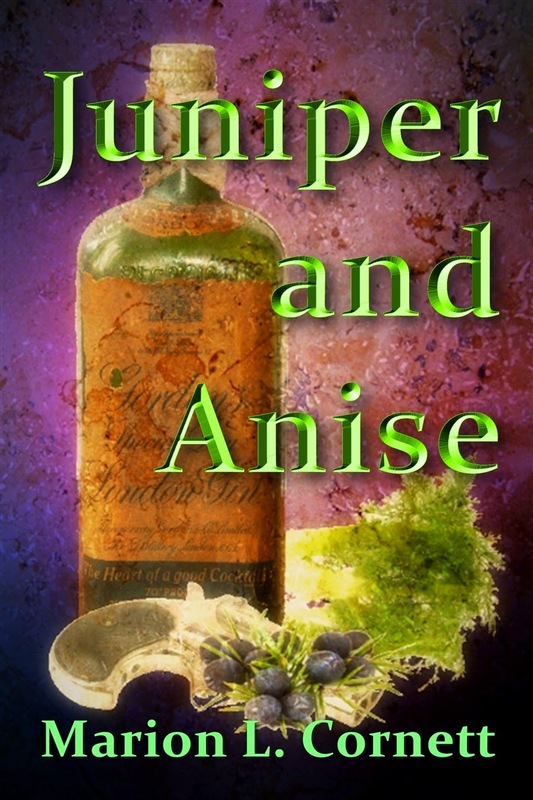 Today we are interviewing Marion L. Cornett, author of the historical fiction novel Juniper and Anise. My historical fiction novel, Juniper and Anise, is a story of a woman bootlegger during the Prohibition Era. Hulda Pearl Rose arrives from Poland with only a few coins in a tattered potato bag, but soon finds a way to make money with her bathtub gin concoction. She dreams of becoming a "flapper" during the headiness of the Roaring 20s. All of this puts her in contact with members of the Detroit Purple Gang. Delve into this novel through the eyes of a small-town sheriff and a young gal, whose life will be changed forever. After self-publishing two local history books and becoming very interested in the early 1900s events and happenings, a story began formulating centering around how a woman would survive, by herself, during that time. Hulda Pearl Rose is a refuge, coming to America from Poland after her family is murdered, and finding herself poor and homeless. On a chance, she boards a train and ends up in a small town in mid-Michigan after befriending an older woman. As the story progresses, Hulda finds the only way she can make money is to manufacture bathtub gin but she dreams of glamour and excitement and soon gets involved with members of the Detroit Purple Gang. What inspired you to set a book during the Prohibition Era? I happened upon an article in a local newspaper of a couple of rum-runners leaving a trail of alcohol out of the back end of their car as they drove through town. When they were arrested, there were over 100 quarts of bathtub gin hidden in the car, some of the bottles broken from the jostling. When I read that article, I knew I had a story to tell. Anyone interested in the history of the early 1900s will find this informative and, yet, it reaches across the genres as the story is character-driven and the reader will get to know some wonderful people. Izzy Bouchard, a young gal Hulda befriends, who “says it like it is.” They soon become family to each other. What techniques did you use to capture the spirit of the Roaring 20s? After a great deal of research, I feel I captured the tenseness and excitement of speakeasies. But, one technique I did employ, was to include musical lyrics of some of the popular songs back then. The wording helps to set the mood. I am working on a companion novel—same era and same village—with all new characters, although references are made back to some of those in Juniper and Anise. This novel is a bit more of a love story between two young people. I used to be the worst one that would fake a huge yawn when I heard the words “historical fiction” mostly because they seemed like long, drawn-out history lesson. Juniper and Anise is definitely not that. The reader might learn some history but this story is fast-moving, has great characters, and spans across multiple generations.